Firstly, Compliments of the season and Happy New Year to everyone. I started the new year as the most improved player in my club with an increase of 83 points (month on month) or 135 points (increase this season). I am currently on 1285 and have beaten some 1600 and 1700 players recently. I started as the 15th ranked player in the club and now ranked 10th. From singles perspective, I’m now playing in the national 2 division, so with some wins there, it will help me gain more points. The training and hard work is defiantly paying off, and I believe I can continue to climb the ladder and reach higher heights. And this is the year to do it! 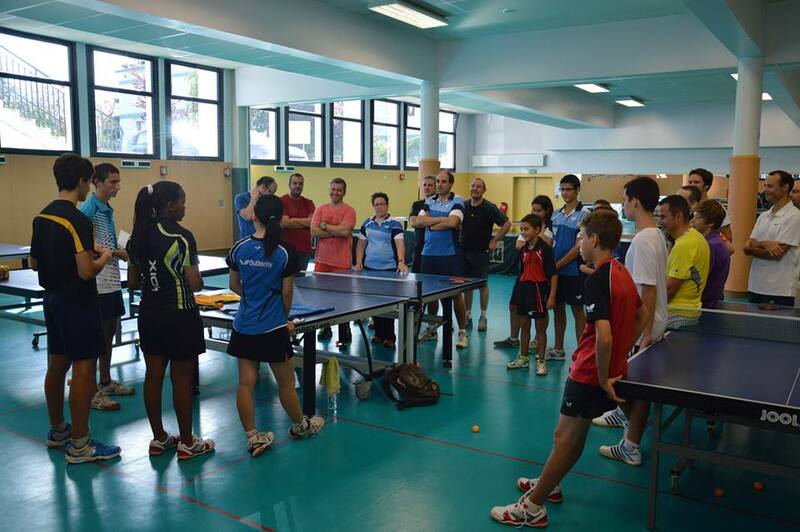 I witness my first professional Table Tennis match between two professional table tennis clubs, ASPCTT Pontoise-Cergy vs Argentan Bayard and the experience was amazing!!! I was lucky to witness Africa’s very own, Segun Toriola, who plays for the team Argentan Bayard. He is so good and doesn’t look like 39 years old. No wonder Segun is classified as the best player from Africa. Other members of the team includes, Thiago Monteiro, Ibrahima Diaw, Georgios Fragkoulis, Monday Merotohun and coached by Wei Guo Zhao. 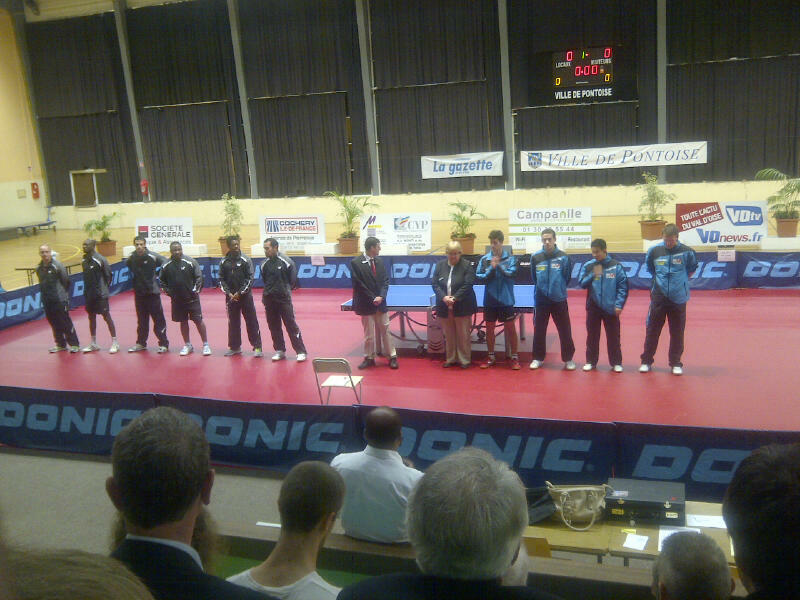 ASPCTT Pontoise-Cergy team consist of: Marcos Freitas, Kristian Karlsson, Tristan Flore, Wang Jian Jun and coached by Peter Franz. They were also the champions in 2011 and still a very strong team. The match was so great, it was like watching a World Championship. A real eye opener for me! As you can see, I had a great view. But I don’t really have a good camera to take good photos for you. Within this 2 months period, I have been on duty, for my club team as well as individual event for all but 2 weekends. This is defiantly something that I was not used to back home. My average week looks like this: In the mornings I will go for jogs follow by French classes. Table tennis start from the afternoon to the evening. On specific days I will have physicals as well as training against pimple players. Sometimes I will have off days, depending on the tournament schedules. Overall, I am averaging about 6 hours of training per day and still need some getting used to it. Recently I got promoted to the Regional section for the individual section and I actually lost against a 10 year old player which I am quite embarrassed about and didn’t want to let the whole world know. But later I found out that this little girl is the current French champion in her age group, so by no means an easy task. I mean, we all heard of national team members from many countries losing to some random provincial kid in China. 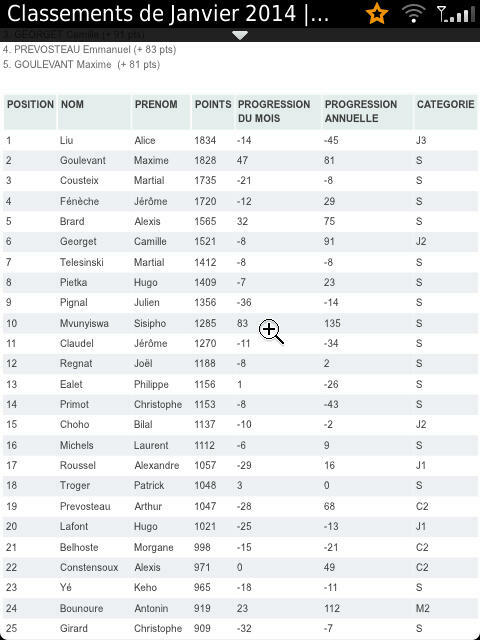 Well the French does have a top junior program and are ranked fairly high in the world. So I am proud to say, I lost against a 10 year old champion. I was not use to playing against someone so “tiny”, and because of that I did not play to my potential, a bit lay back should I call it. And not many 10 or 12 or even 14 years old (boys or girls) back at home can give me such a hard time. By the time I figured out was happening and with her extreme accurate placement, the tiny left hander was moving me around and winning point by point, and just saying all this, I am already thinking and planning for the rematch. Defiantly the level in Regional is very high, and many of them are good enough to be crowned South African women’s champion. There is still National 2 and National 1 tiers above Regional, so I have concluded, I must work harder! I have been away from home (Eastern Cape) and residing at HPC, University of Pretoria for the past 3 years. So I am no stranger from being away from home. Being away from home taught me a lot of independent and the odd visit back home really makes everyone at home so much special. The host family here really treats me like they own daughter, the club coaches and team mates puts in a lot of time and effort both on the table and off to make me as comfortable as possible and I am really grateful for that. I”m really am blessed but I do miss home. I was told that to become an athlete, one would require to work hard. To become a successful athlete, one needs to make sacrifices. With all the love and care from Paris, as well as the tons of encouragements from South Africa, especially from my family and friends as well as Facebook fans, I know that I can do it. All I can say is, this isn’t an easy job, but I am blessed having all of you. Thank you for your reading and see you guys next time. First Singles Tournament (Departmental). By Tony’s Table Tennis. 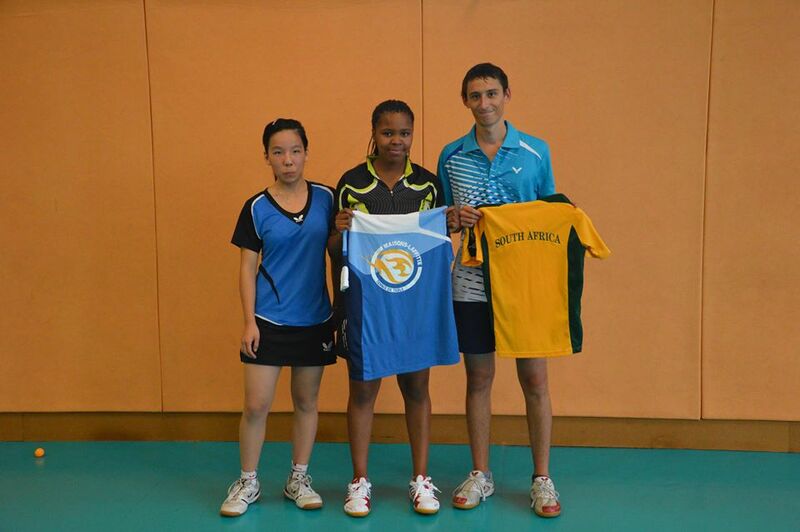 South Africa’s very own Xiom sponsored Sisipho Mvunyiswa played her first singles tournament in France today. She took part in the Departmental level tournament. Sisipho stormed through into the knock out stages with a 3 out of 3 win in the groups. 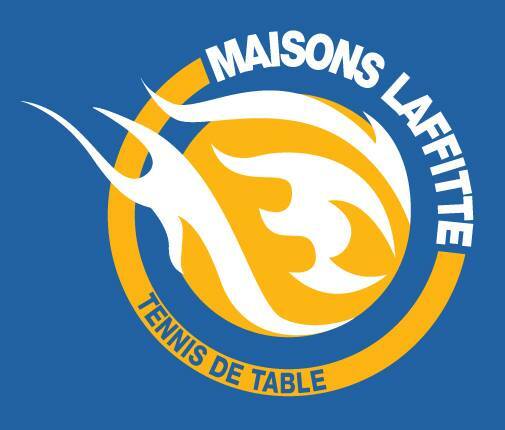 The Maisons-Laffitte player continued the momentum and took both the QF and SF 3-0. The final was a lot more intense, but Sisipho managed to hold it to the end for a 3-1 victory. 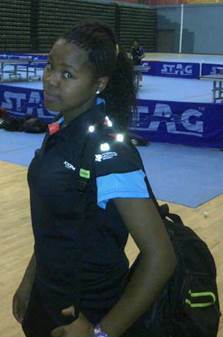 Sisipho succesfully promotes to Regional level for her next tournament. Above that there is the National 2 and National 1, National 1 is where you get the World Rank Top 100 womens players playing. Sisipho, you have been in France for over a month now, have you seen improvements in your game? So now you made it into Regional level, what is your next goal? Thank you Sisipho, we just want to let you know, the entire country is behind you. Keep up the hard work. I have been in Paris for over 2 weeks now. The club, the players and the host family are great and treating me really well. 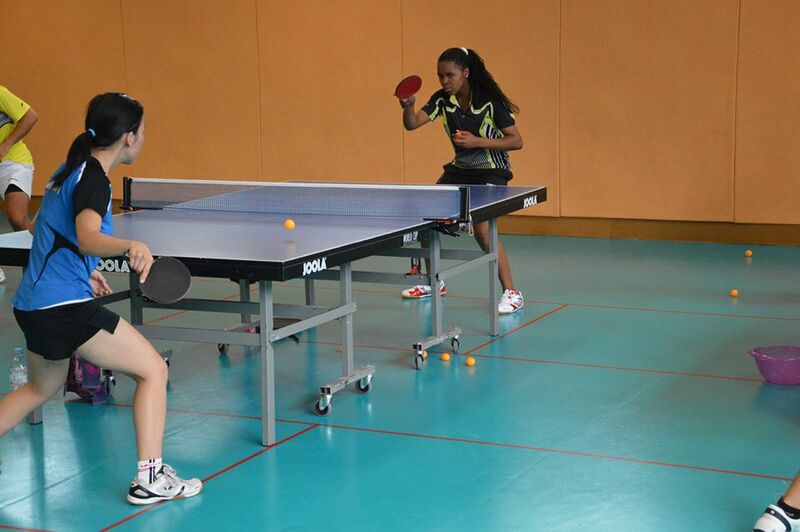 Besides table tennis training and practice matches, I would also help the coach to assist with the younger players. I have also started to learn some French too. I was drafted in the 2nd team and given a starting rating of 1150. It is not a true reflection as I will need to start playing some matches for my rating to become more accurate. I was told by my coach that I am around 1300 to 1400 at the moment. I am aiming to get to 1600-1700-during my 1st year here and that will allow me to promote to our 1st team. An idea of the rating system is that Sarah Hanffou of Cameroon who has ranked as high as 213 in the world and a London 2012 Olympian has a French rating of 2200. Algeria’s Faiza Laid and Islem Laid is around 1700. The best female player in our club is rated 1880, a 17 years old, former number 3 French Cadet player. Yesterday (20 Sep 2013) I played my first official match. The match format consist of 12 singles and 2 doubles and each team consisting of 4 players. We used 2 tables to play those 14 matches. The league match was against Montesson Tennis de Table and we beat them 13-1. I managed to won all 3 of my singles match and without dropping a set. It was a huge boost for me but we did play against players with a lower rating than us. Despite the fact that the opponents had a lower rating, they did give me a hard time, especially in my first match. Our next match is on 4th October, so now we are back to training and getting ready for the next match. There was a welcoming and introduction at my new club Maisons Laffitte Tennis De Table. I was also presented my new club shirt and we took some photos. We then played some matches and had a good time. I had the honour of going on live radio for the first time on 28 Aug 2013. Talk Radio 702 contacted my agent , Tony’s Table Tennis and shortly after that I received Tony’s phone call, I was overwhelmed with joy and excitement when he asked me if I was free in the evening (of 28th Aug) and if I wanted to participate in an interview. Of course I said yes!!! 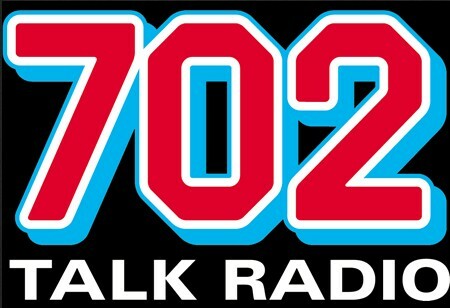 Sports Talk, Talk Radio 702 is presented by Udo Carelse, Lionel Moleko, Marc Lewis and Dineo Mashego. They are one of (if not number one) the biggest sports talk radio station in South Africa. The subject for the evening was “Cinderella Sports”, and indeed Table Tennis falls into that category as it is considered unknown to the masses, but the true beauty is there for the ones that knows it. I was happy to have the chance to get this interview and to talk a bit about my career in table tennis, and I hope this can help contribute in helping the sport to get more awareness in South Africa. With out all my sponsors, and especially Maisons-Laffitte Tennis de Table (my new club), I wouldn’t have gotten this opportunity to go on air. Thank you for every one that contributed over the years, you are the real Cinderella behind this lovely Cinderalla Sport. 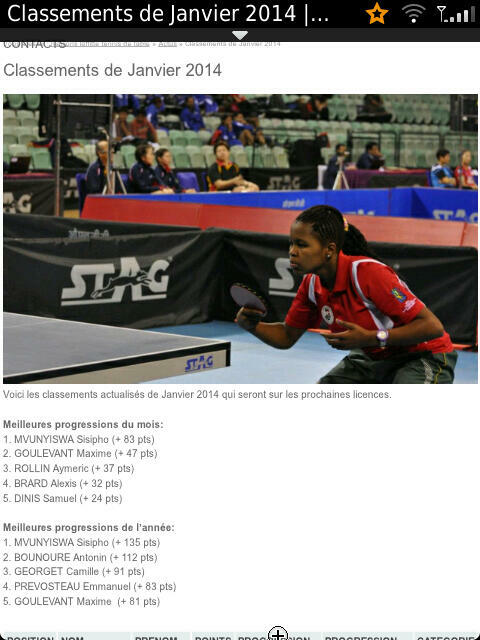 Its not everyday that table tennis can be on South Africa’s national news. 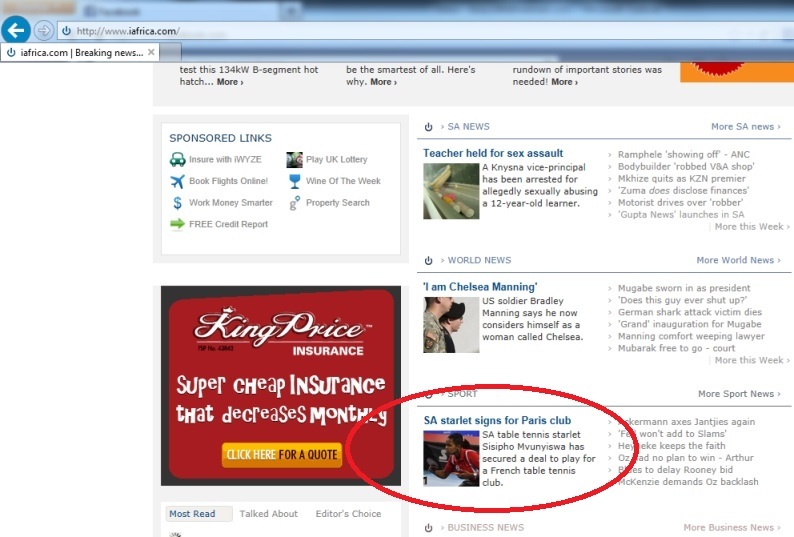 I was extremely delighted when my marketing agent Tony’s Table Tennis told me that I am not just in the news, but in the main page too. 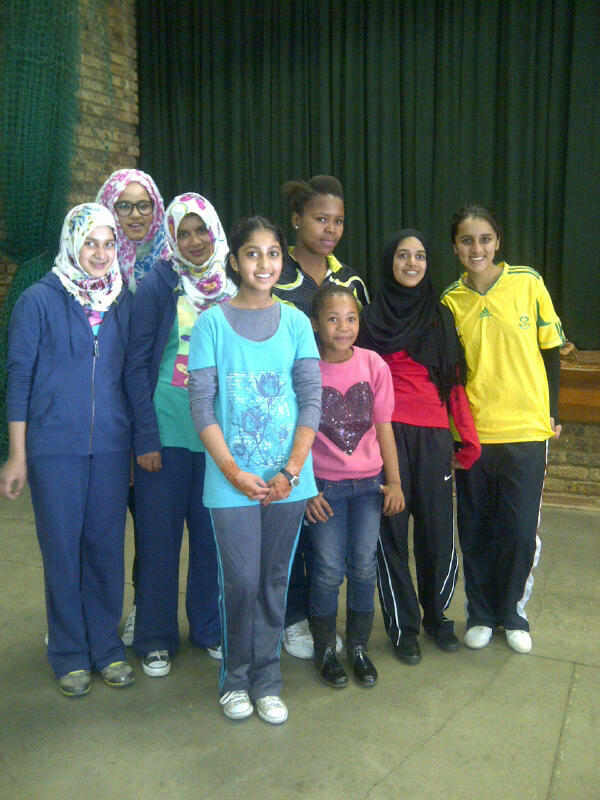 16 Aug 2013 was my last day coaching at the Tshwana Muslim School (TMS), in Laudium. During my free time on Fridays, I would head off to TMS to coach there for around 2 hours in the afternoon. I have been coaching at TMS for only 5 months and had to bid farewell as I will be heading off to Paris in just under 2 weeks time. The support I had from the school was great, and I had a chance to work with around 10 kids between the age of 9 to 15. Thank you TMS for the wonderful time and allowing me the chance to coach at your school. Going to miss you all!! 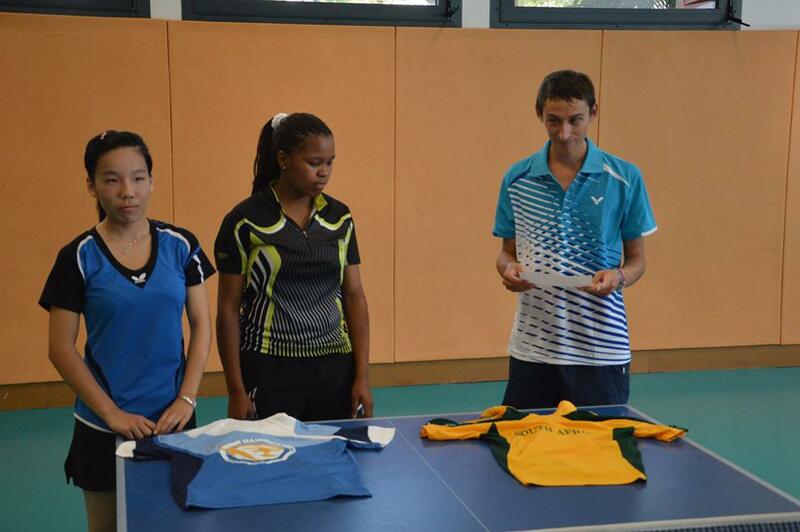 Table Tennis Teenage Star heads off to Paris! 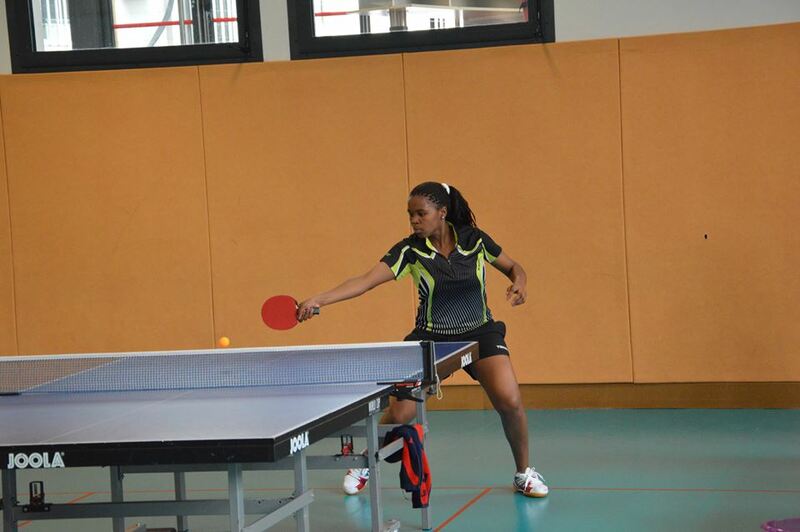 Sisipho Mvunyiswa (19), a member of the South African national table tennis team since 2009, has secured a 1 year contract to play for “Maisons-Laffitte Tennis de Table”, a table tennis club based in Paris, France. Sisipho grew up in Qokolweni, just outside of Mthatha in the Eastern Cape. 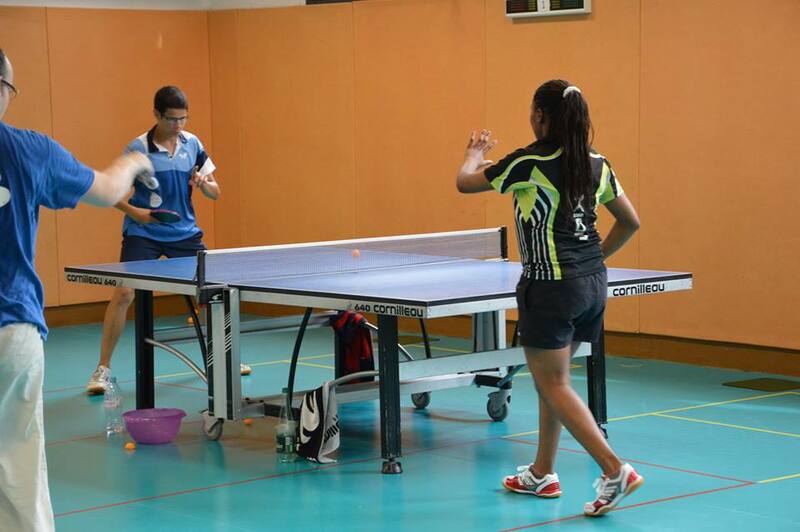 She started playing table tennis at the age of 11. It all came together when table tennis was introduced to her school. Qokolweni Junior Secondary School principle Mr Maya invited Sisipho to try out this wonderful sport. “I’m a very adventurous person, and there were many tournaments that we participated around my city. Traveling was really fun for me. I could play anytime, day or night, hot or cold and only needed one playing partner to play. 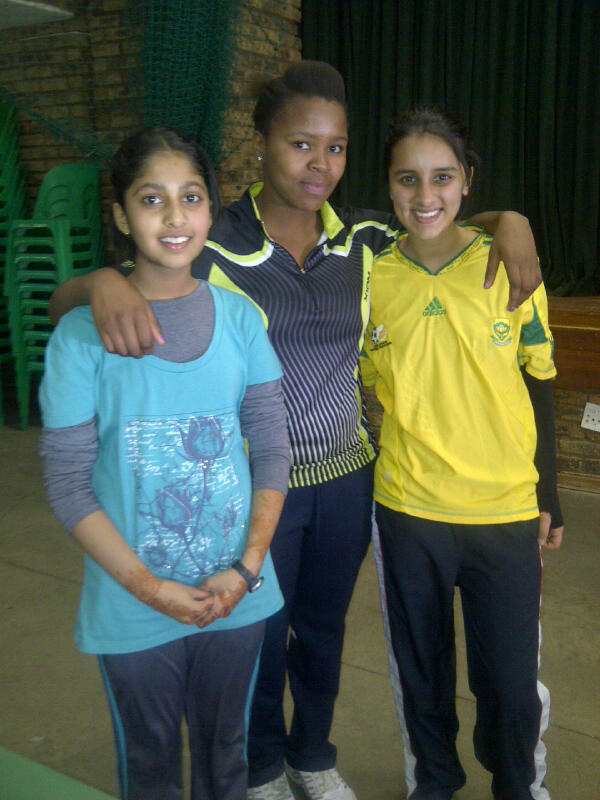 It was just great!” remembers Sisipho. In 2009 at the age of 15 Sisipho made it to the national team. One year later she also secured a scholarship to join the National Table Tennis Academy at the High Performance Centre, University of Pretoria., sponsored by SRSA and SATTB. 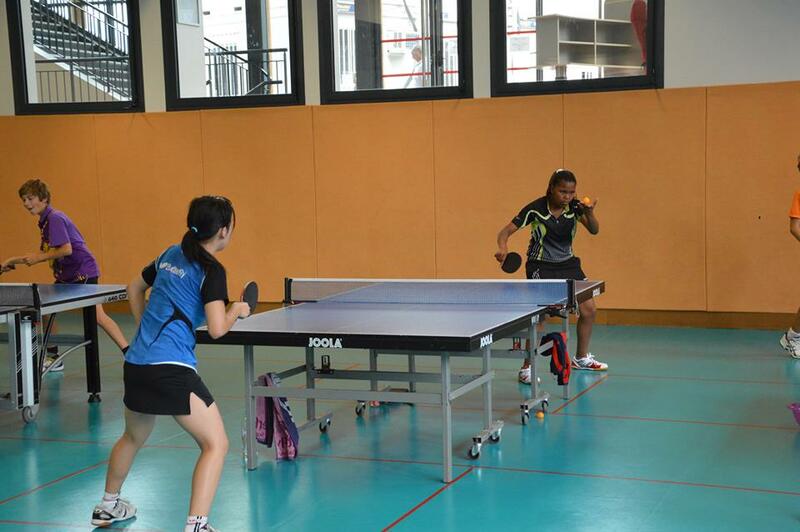 In January of 2013, Sisipho secured a table tennis sponsorship with Xiom, a top international table tennis brand from Korea and on top of that, now she also received a once in a lifetime chance to play table tennis abroad! We talked to Sisipho and asked her what is going on in her head and how this amazing dream came true? “I’m very excited and nervous at the same time. This is the biggest opportunity not just for me, but for all South African table tennis athletes, so I’m really looking forward to this journey. But very importantly I would like to thank my family and especially my mom who has always been so supportive through it all. Then there is of course Mr Maya who discovered my potential and encouraged me to play table tennis. I would also like to thank the Eastern Cape table tennis committee that has been supporting me through all the tournaments as well as the South African National Table Tennis Board that gave me so many opportunities to represent South Africa. I would especially like to thank my sponsors, the Department of Sport and Recreation South Africa, SATTB, Xiom and Tony’s Table Tennis. The support has been great and without them, I would not be able to reach the level I am today. Sisipho will be heading off to Paris end of August. Certainly a huge milestone for South African table tennis athletes as the last time our athletes went to play overseas was around 10 years ago, and was funded by the national body. 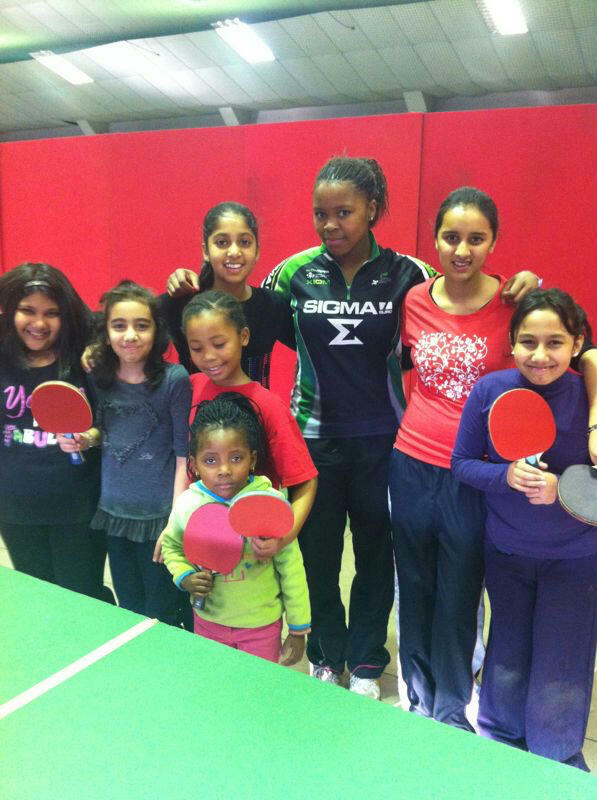 We certainly believe that Sisipho can open up greater opportunities for our athletes to play table tennis abroad and to even become professionals one day. 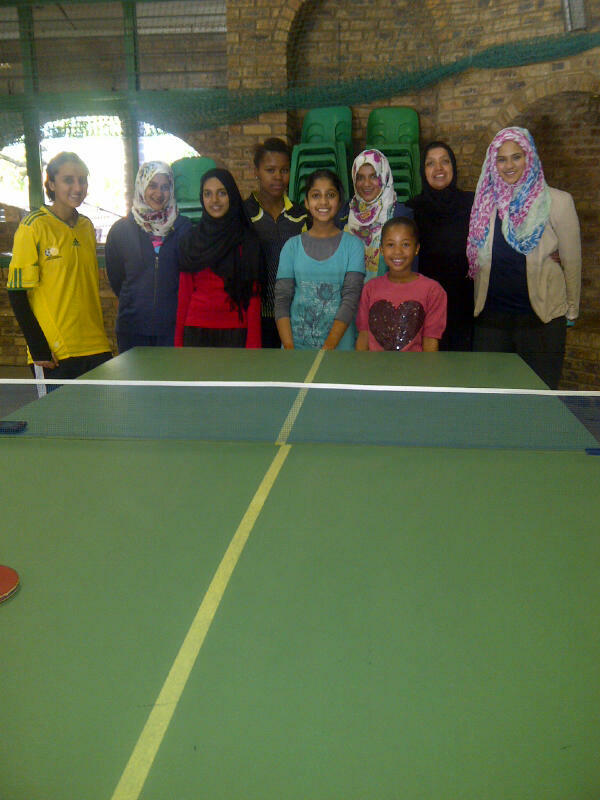 Sisipho, our table tennis teenage star is heading off to Paris!